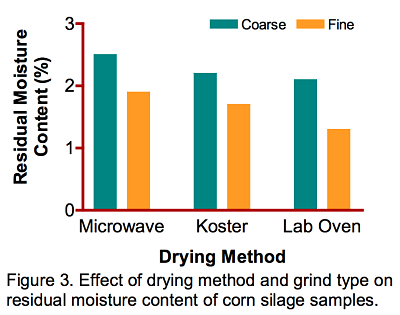 Accurately determining corn whole plant moisture is important when harvesting for corn silage. Harvesting corn for silage too early (high moisture content) or too late (low moisture content) can affect forage yield, quality and silage fermentation. Whole plant moisture content typically changes by 0.5 units per day and in dry conditions can change by up to 1.0 unit per day. In the past, growers have used benchmark stages of kernel maturity (black-layer development or kernel milkline position) to estimate when to harvest corn for silage. Because of the variability associated with these methods, growers have been encouraged to periodically check actual whole plant moisture of plants from various fields on their farm. The success of this strategy is dependent on obtaining an accurate moisture content measurement in a timely manner. This Focus on Forage article discusses the accuracy of several on-farm moisture measurement techniques based on several studies conducted by the UW Soil & Forage Analysis Lab at Marshfield. What factors affect moisture content and dry-down rates of corn? Several factors affect moisture content of corn plants and the rate at which they dry down in the field. Geographic location – Corn silage is grown in virtually all areas of the state. The length of the growing season and average temperature varies significantly, particularly from north to south. This will affect the rate of dry down of similar maturity varieties, necessitating local monitoring of moisture levels. Stage of maturity – As the corn plant matures, whole plant moisture content decreases. A killing frost will also speed up the drying process. Hybrid selection – Both relative maturity and hybrid choice will significantly affect moisture content of corn. Hybrids differ in dry-down rates, which means that each hybrid should be tested separately. Crop management – Factors such as soil fertility, weed control, and pest management will also influence whole plant moisture content and dry down rates. Healthy, vigorous plants will tend to stay photosynthetically active for a longer time and be wetter than less healthy plants. Landscape position and soil type – Changes in soil types or significant changes in landscape throughout a field can influence how a plant grows and dries down. Soil moisture levels may be adequate in one part of a field and excessively dry in another part of the same field leading to differences in plant maturity and moisture content. What factors affect measurement of whole plant moisture content? When measuring corn whole plant moisture the following factors can affect the accuracy of the test. Fineness of chop – To accurately measure corn whole plant moisture, samples need to be chopped. Our studies indicate that the finer this material is chopped, the more accurately moisture content can be measured. The goal of chopping is to achieve a more homogenous material that can be subsampled more accurately. Method of determination – On-farm options for moisture determination include microwave ovens, Koster moisture testers, food dehydrators, and traditional kitchen ovens. Kitchen ovens are seldom used because of inconvenience, odor, risk of burning at a high temperature, and slower completion time at low temperatures. 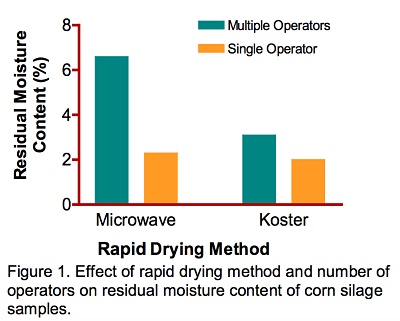 Operator technique – For the microwave oven method and Koster dryer system, operator technique is critical in getting an accurate estimate of corn silage moisture content. Figure 1 shows the much greater variability and range of residual moisture when multiple operators use a method. 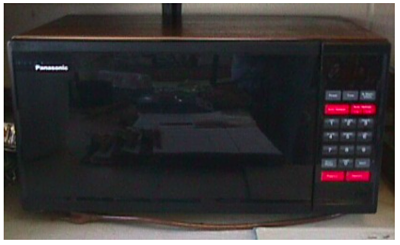 Properly drying a sample using a microwave is especially difficult for an inexperienced person. What moisture measurement methods were compared? Microwave – samples (80-125 grams) were dried on high for three minutes, then on medium in two-minute increments until sample weight stabilized. Koster – samples (100 grams) were dried for thirty minutes. 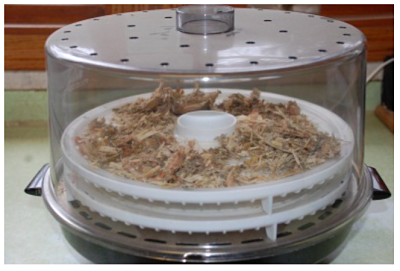 Food Dehydrator – samples (100 grams) were dried overnight (approx. 16 hours) on a plastic try at 140°F. Laboratory over – samples (80-125 grams) were dried in lab oven at 55°C overnight. NIR – sample tested using Near Infrared instrumentation with a corn silage moisture calibration. In an earlier lab study done at Marshfield, approximately 2% residual moisture content was found in samples after using the microwave or Koster drying methods. Another study conducted on-farm using several different operators, showed that residual moisture content ranged from 3% to greater than 6% (Ballweg and Rankin, 1998; Figure 1). Error levels of this magnitude are unacceptable for growers needing to make a corn silage harvest decision. In this current study the laboratory oven and overnight food dehydrator yielded very similar results. Eight corn silage samples with a wide range of dry matter contents were evaluated using these two overnight drying techniques. Following approximately 16 hours drying, the average calculated dry matter content of all samples was approximately 32.5%. 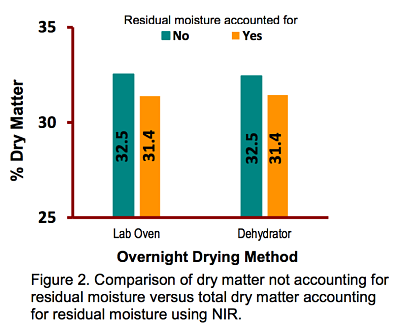 When the NIR was used to adjust the sample dry matter content to include the residual moisture that was left in the sample the average total dry matter content was 31.4% (Figure 2). All methods require an additional laboratory step to determine residual moisture content of a sample for complete accuracy. This can be accomplished using either a NIRS-based moisture determination or a standard high temperature (135°C) lab oven method. Sample grind and fineness of chop is important in determining sample moisture content. This is particularly important when using the microwave drying method. The variability among samples was higher for coarsely chopped samples when compared to those ground to a smaller particle size. 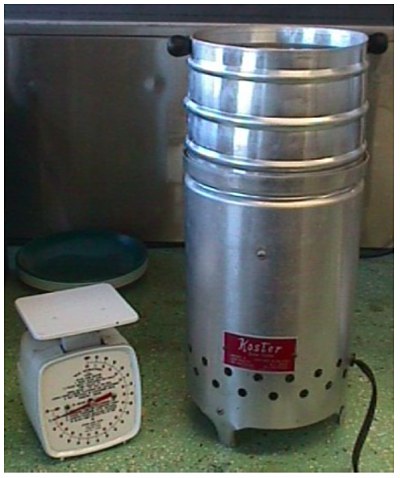 In addition, the moisture remaining after drying was greater for coarsely chopped samples versus using a fine grind (Figure 3). Accurately determining the moisture content of corn silage on the farm is a challenging process. One of the limitations to on-farm testing is the availability of an accurate scale (+/− 1 gram). In addition, operators need to maintain a consistent protocol when drying samples so that the residual moisture content remaining in the samples following drying is in the range of 2-4%. Maintaining consistent operator technique and chopping samples as fine as possible are important factors in achieving reliable and repeatable dry matter results. Also, it appears that using a lower temperature overnight method such as a laboratory oven or food dehydrator resulted in slightly lower residual moisture levels in the samples than was found in previous studies where a microwave and Koster system were evaluated. In all cases it is important to have a laboratory determine the average residual moisture content of dried samples as it can be quite variable. Ballweg, M. and M. Rankin. 1998. Verification of On Farm Moisture Determination.